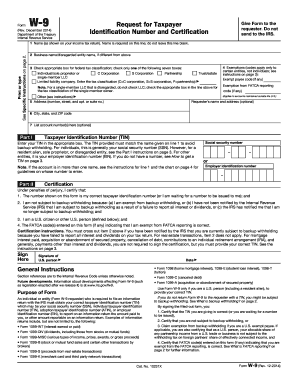 990 Ez 2011 is not the form you're looking for?Search for another form here. Who needs an IRS Form 990? Form 990 is the United States Internal Revenue Service tax return form that is to be used by nonprofit organizations that are claiming tax exempt status. This tax return should be used by qualifying religious organizations, education services or qualifying charitable organizations. This particular version is to be used in case the reporting organization's gross receipts exceed or reach $200,00 and the total assets are not less than $500,000. What is Form 990 for? The full name of the 990 Form is Return of Organization Exempt From Income Tax. Logically, the Form is used not to report finances in order to pay taxes, but to report in detail where a public charity’s money goes and explain its expenses. Basing on what information is provided in the form, a potential donor shall decide whether to make a contribution or not. Is the Return of Organization Exempt From Income Tax accompanied by other forms? There is a detailed list of attachments and supporting forms that should be filed together with the 990 in the IRS’s instruction on how to file Return. Learn more here. When is the IRS Form 990 due? The submission of the IRS Form 990 is due by Tax Day. Tax Day is always on the fifteenth day of the fourth month after the end of the fiscal year, therefore, most often, it is the 15th April. How do I fill out the 990 Return? The form is self-explanatory, but if the applicant encounters difficulties, she should consult the instructions or a tax professional. 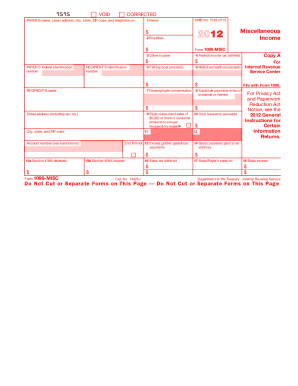 Once filled out, the Return along with the supporting documentation must be delivered to the local IRS office. It’s advisable to keep a copy for future reference. Must agree with Cat. No. 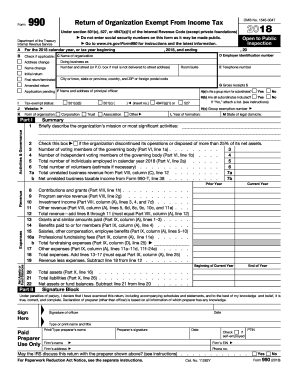 10642I 5c 6d 7c Form 990-EZ 2016 Page Balance Sheets see the instructions for Part II A Beginning of year Cash savings and investments.